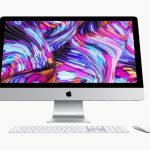 The Wall Street Journal has re-confirmed earlier reports that Apple Computer will announce Monday a slow transition to Intel processors in its Macintosh computer line over the next few years. 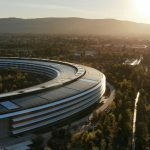 The WSJ reported Monday (subscription required) that Apple "has begun briefing some partners about plans to begin shifting its Macintosh computer line next year to Intel chips, according to industry executives and people familiar with the briefings. Apple has said it expects to announce the move today, these people said." Apple Chief Executive Officer Steve Jobs is expected to make the announcement during his keynote speech at the company?s Worldwide Developer?s Conference in San Francisco beginning at 10am Pacific Time (1pm Eastern Time). The WSJ said Paul Otellini, Intelis CEO, may take part in the keynote address with Mr. Jobs. TMO has confirmed through its own sources that Mr. Otellini arrived in the San Francisco area Saturday. 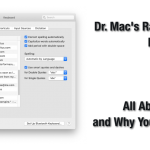 The Mac Observer will provide live continuous text coverage of the keynote online. Apple is not providing live satellite coverage or online streaming video of the address to the general public. TMO has confirmed Intel CEO Paul Otellini is in San Francisco and might be part of the Steve Jobs keynote at WWDC Monday. The report said Apple "recently briefed IBM and other major software partners on its plans," but that "given Mr. Jobsis mercurial reputation," anything could happen and a "change" in the announcement could occur at the last minute. "It couldnit be determined whether Intel has agreed to offer some modifications of its microprocessors for Apple alone or will sell it standard chips," the Journal reported, "nor is it clear whether Intel would supply other accessory chips for the Macintosh as part of the deal." The Wall Street Journal reported on May 23 that the companies were in talks that could lead to Appleis adopting Intel microprocessors. CNET News.com confirmed Friday that Apple would switch to Intel processors and move its lower-end computers, such as the Mac Mini, to Intel chips in mid-2006 and higher-end models such as the Power Mac in mid-2007. The WSJ on Monday also echoed the CNET report that a transition will happen through 2007.